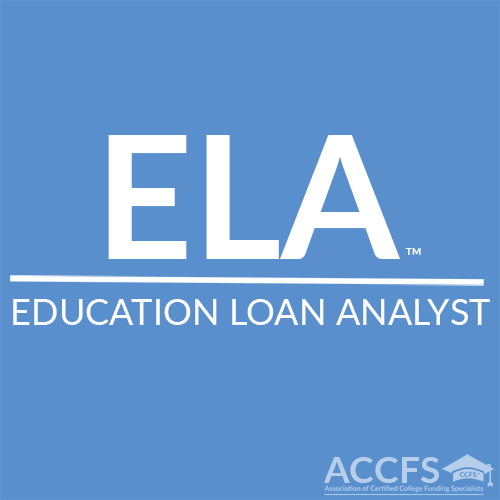 The ELA™ (Education Loan Analyst™) course is for Certified College Funding Specialists™who want to achieve a more in-depth knowledge of the student loan system and how it works. 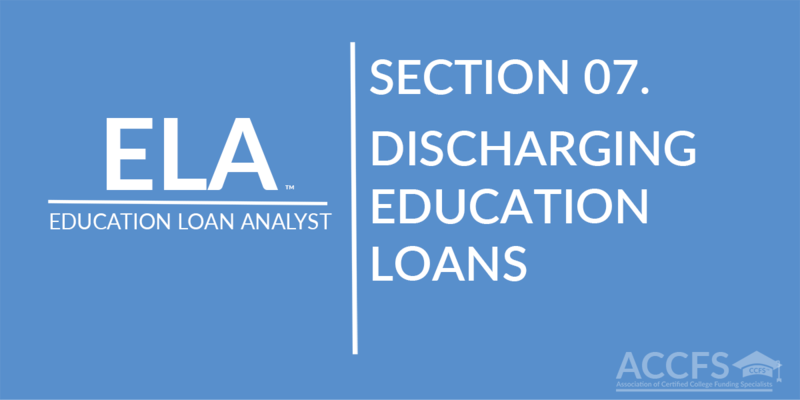 This course covers all education loans and alternatives; the various rules and regulations regarding repayment plans, forgiveness, forbearance, cancellation; and other strategies to help your client families remove the burden of education debt. 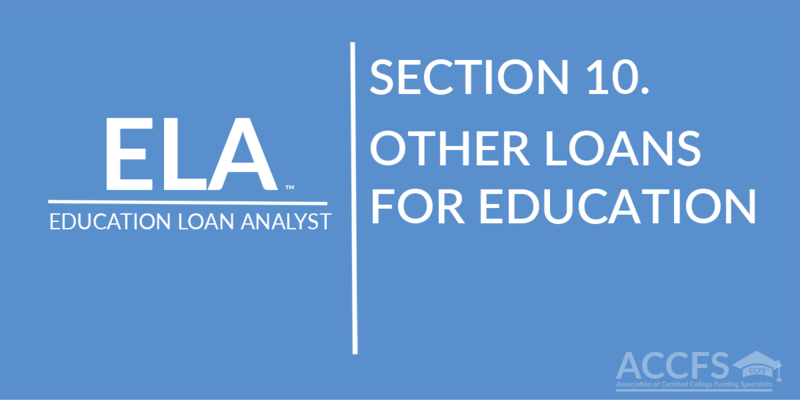 This section covers education loans and the financial aid system, the various rules and regulations regarding master promissory notes, and student loan entrance and exit counseling. 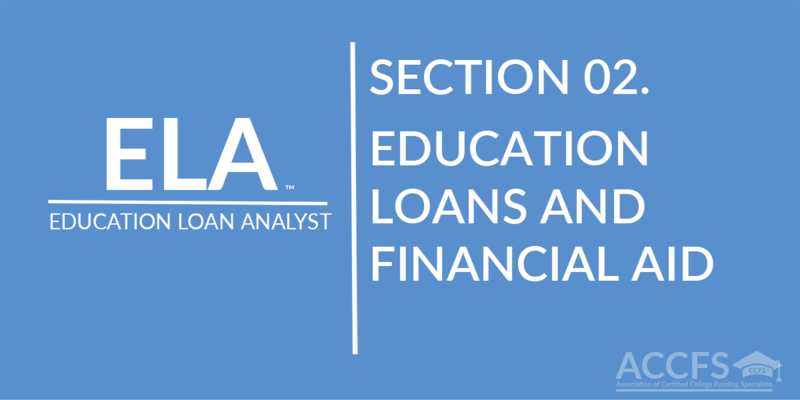 There are many types of education loans, each having different interest rates, loan origination fees, loan borrowing limits, and other qualifications that every financial professional must understand in order to discuss with their clients. 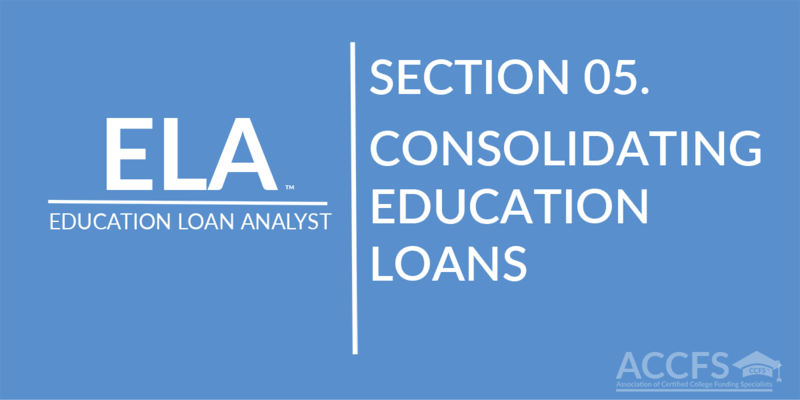 Consolidation loans are designed to help both student, and parent borrowers simplify loan repayment by allowing the borrower to consolidate several types of federal student loans with various repayment schedules into one loan. 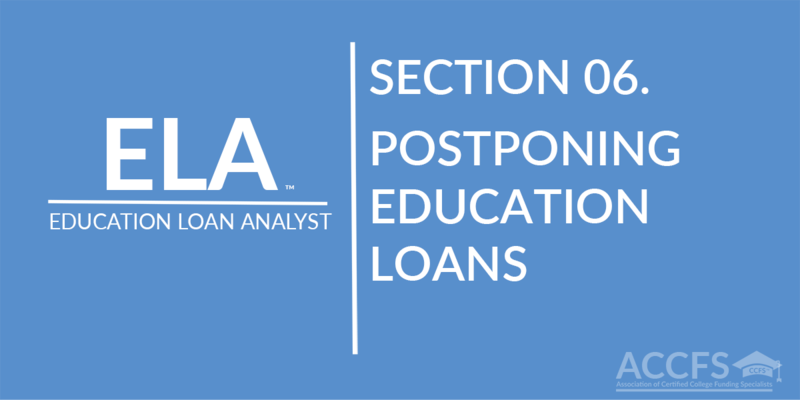 There are two ways to postpone students loans, one is deferment and the other is forbearance; both of which the repayment of the principal and interest of a student loan is temporarily delayed. 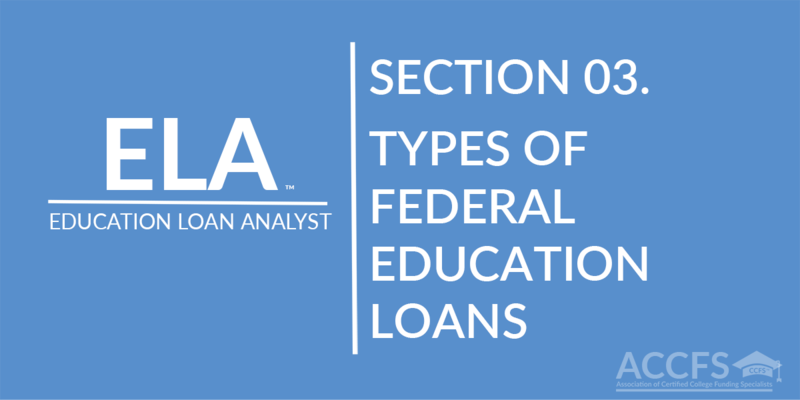 Private education loans are non-federal loans, made by a private lender such as a bank, credit union, state agency, or a college, and tend to cost more than loans offered by the federal government, but are less expensive than credit card debt. 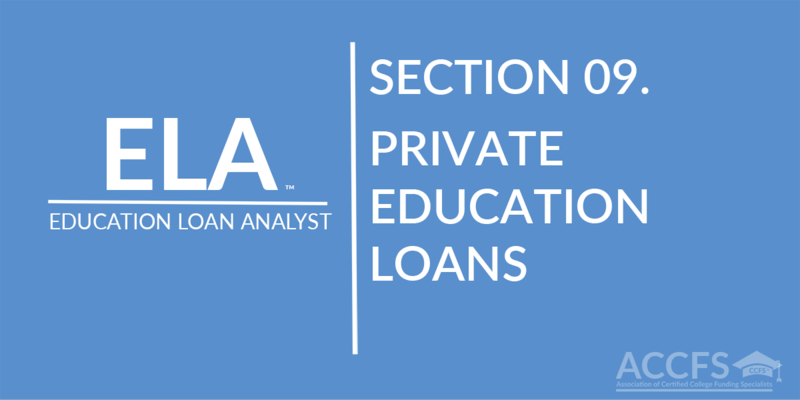 If your client is considering using private education loans, they should first consider using a home equity loan, a retirement account loan, or even a life insurance loan to finance the student’s education. 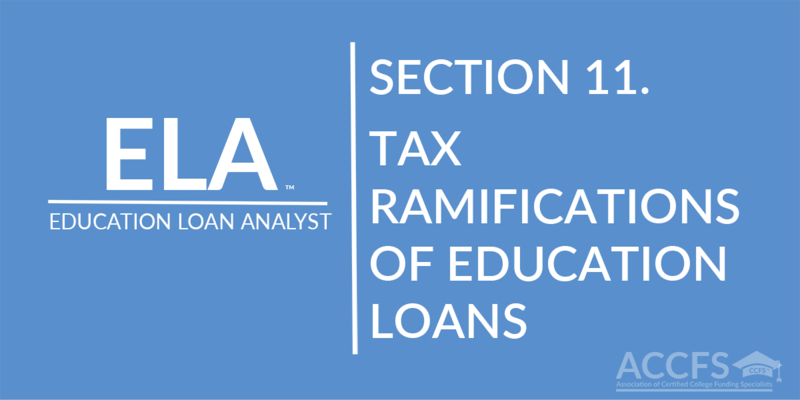 The Student Loan Interest Deduction is a tax benefit that allows a deduction for the interest paid on qualified student loans. 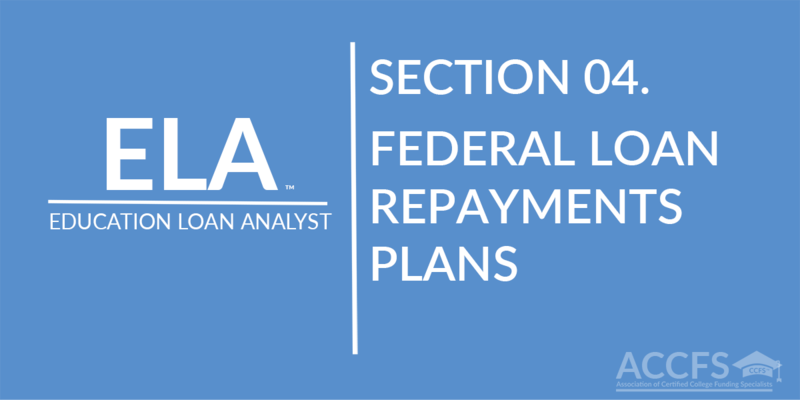 The loans do not have to be federal interest subsidized loans. 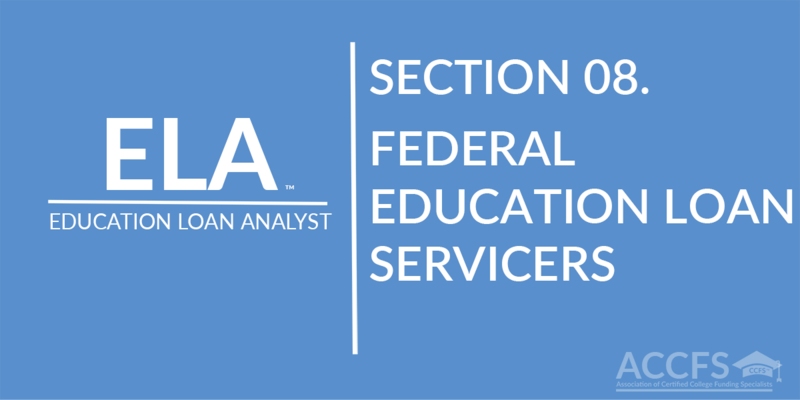 Ron developed the CCFS (Certified College Funding Specialist) designation. 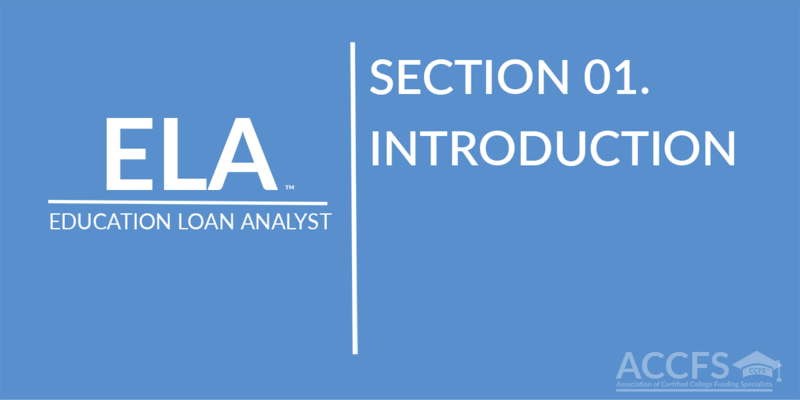 For over 25 years, the nation's leading financial advisors, broker/dealers, and major media outlets have been using his research, funding strategies, training, and insight. 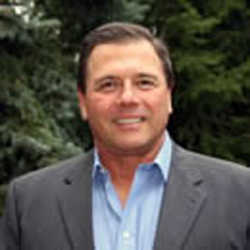 Ron is highly regarded as an expert in the college funding field.